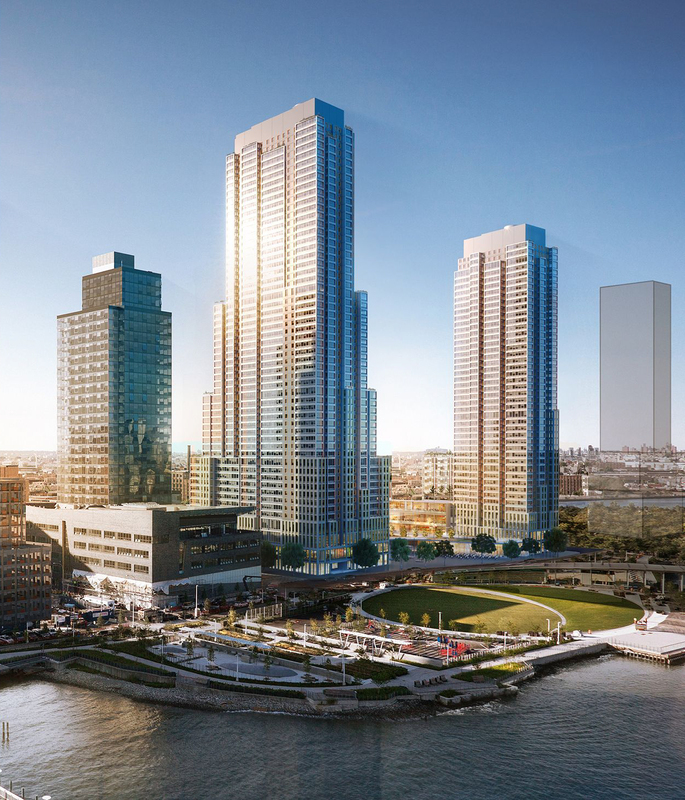 The official groundbreaking ceremony for TF Cornerstone‘s two-towered Hunters Point South project in Long Island City will be held today. 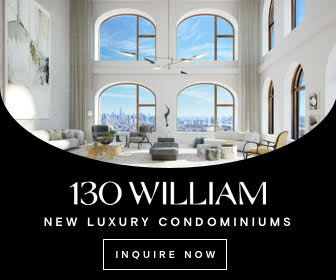 In addition to over 1,000 new apartments, the site will give rise to what will temporarily become the tallest skyscraper on Queens’ East River waterfront. 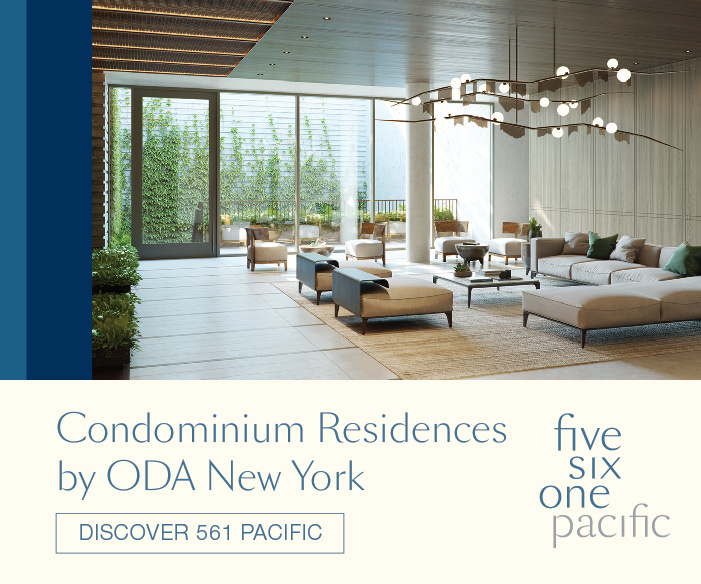 Fresh renderings have also been released, revealing additional exterior details of the buildings as well as the landscaped greenery and waterfront esplanade. The buildings’ addresses are 52-03 and 52-41 Center Boulevard. 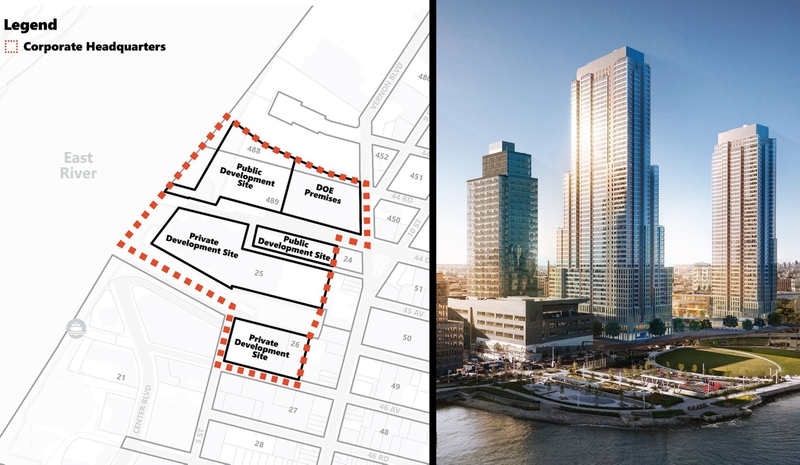 Amazon has officially revealed its plan to develop a second headquarters along the East River banks of Long Island City, Queens. The “HQ2” corporate complex will span multiple lots and structures on Vernon Boulevard, from 44th Road, all the way to 46th Avenue. 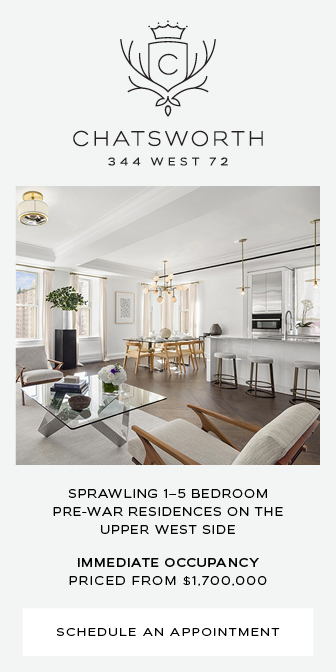 Construction has wrapped up at 606 West 57th Street, aka The Max, and the massive mixed-use rental complex is already making quite a dent in the Midtown Manhattan rental market. 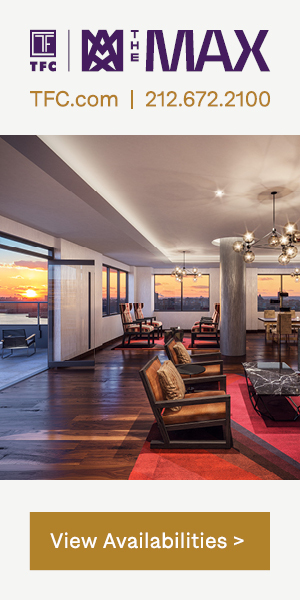 While leasing started just seven months about, over 80% of the 1,028 units are already occupied. TF Cornerstone is responsible for the development. 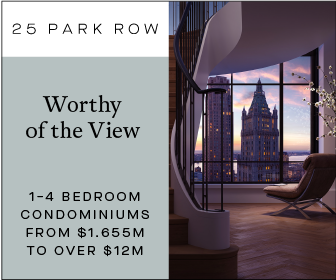 Details have been revealed for an enormous new 750-unit residential tower at 18 6th Avenue, in Prospect Heights, Brooklyn. 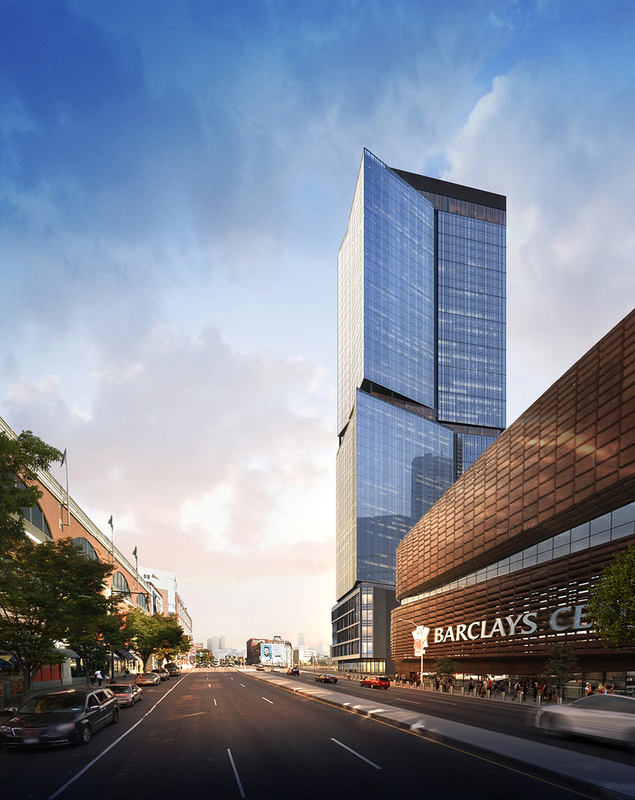 The site is right beside the Barclays Center and is part of Pacific Park, formerly known as Atlantic Yards, a multi-billion dollar 22-acre mega-project that has already seen the completion of four of fifteen eventual buildings. 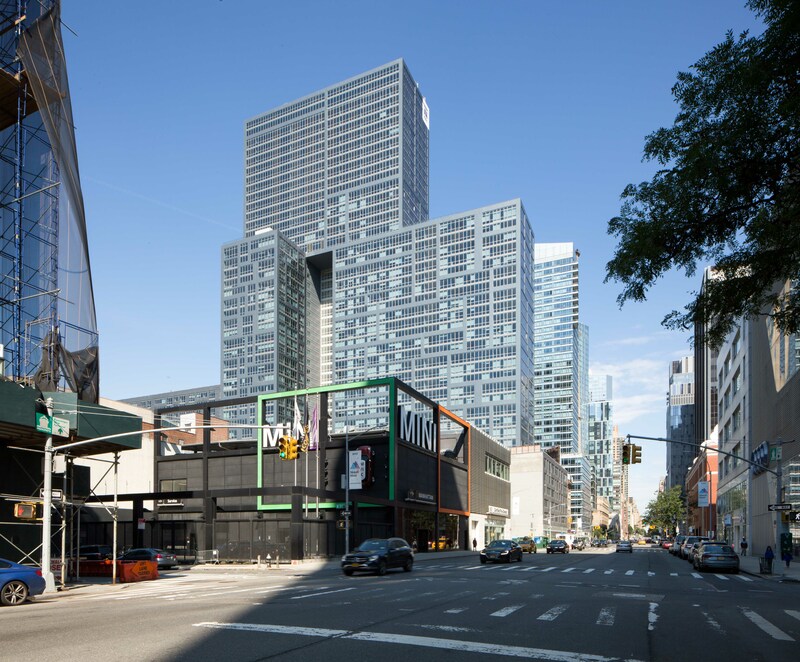 TF Cornerstone and The Brodsky Organization have also now joined Greenland Forest City Partners to finish the project, acquiring land where three of the prospective future skyscrapers will imminently rise. 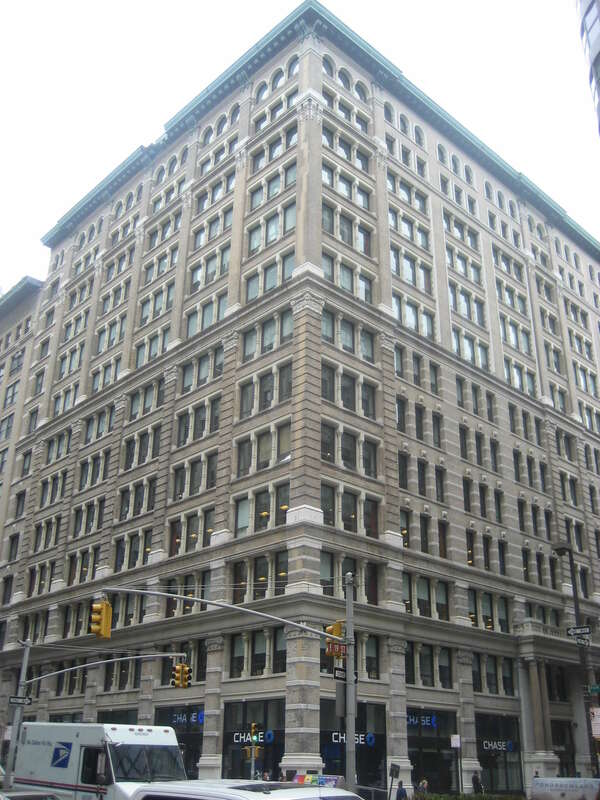 Global media brand Discovery, Inc. will relocate its US headquarters to New York City’s 230 Park Avenue South. TF Cornerstone facilitated the deal and owns the building, with the headquarters taking over 360,000 square feet of Class A office space.